In one of our earlier posts, our footpath rangers gave us an insight into the mysterious subject of 'shed life'...this time they've turned their attention to a subject close to every ranger's heart - food!...with particular reference to those volunteer path minders we call 'lengthsmen'. The traditional role of the lengthsman would be to “walk the length of the parish” to ensure ditches and drains were clear. The term was adopted to describe workers maintaining lengths of road, canal, railway and path. 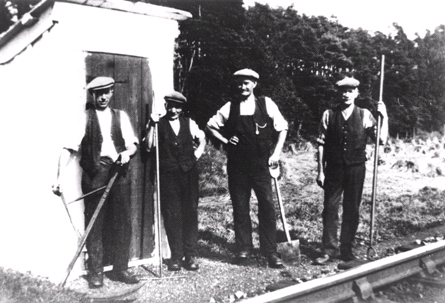 Below are some mid-19th Century lengthsmen employed on the Caledonian railway in Scotland for 'packing' (the ballast on the track is packed back under the sleepers) and maintaining the railway lines. 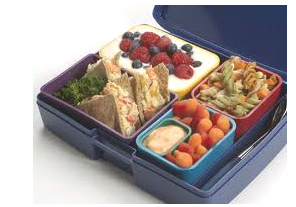 Lunchboxes started making their appearance during the 19th century. They were, either, baskets, with lunch wrapped in a handkerchief, or tin pails (not a 'bucket!'). 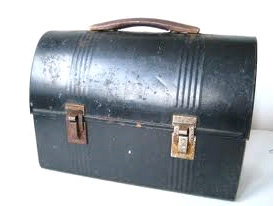 A Lengthsmen’s lunchbox during this period may have been similar to this pail below, with a lunch consisting of a chunk of bread with a piece of cheese and/or meat. 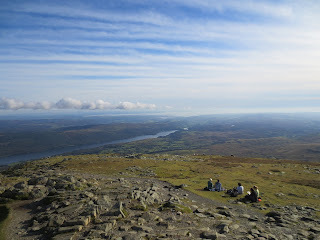 Not the easiest thing to get up a mountain! Today the Fix the Fells lengthsmen, who work closely with the footpath rangers, carry out regular drain runs across the fells, clearing drains of debris ensuring they shed water effectively. They play a crucial role in helping to maintain the footpath network making access to the fells easier and safer. 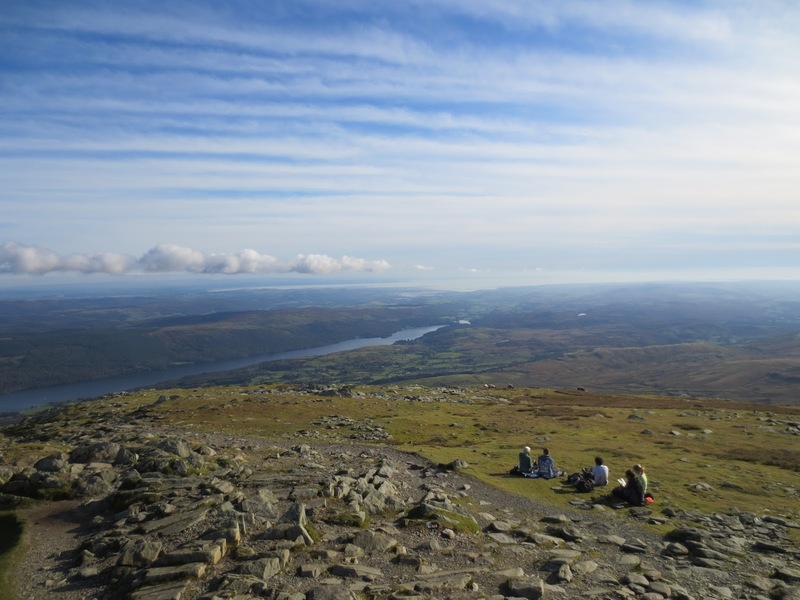 Another part of their role is to help visitors understand the need for repairing and looking after upland paths, so look out for them on your fell walks. new drain by Ian, Richard and Martin - maintaining both paths and tradition! As you can see, for the lengthsmen working on the fells today, the lunchbox is likely to be packed with a selection of sandwiches, meat, pasta, savoury dips and fruit (although we can't promise they all look as healthy or indeed tidy as this one!). We're all familiar with the term 'Ploughman's Lunch' but this is due to The Milk Marketing Board promoting the ploughman's lunch back in the 1960s, nationally to boost sales of cheese. Perhaps it's time to launch a similar campaign to promote the ‘Lengthsmen’s Lunch’ ...maybe it could be used to boost sales of mutton and support hill farming; wonder if our colleagues at Sticklebarn in the Langdales would like to kick it off?! In the last couple of weeks there have been a couple of days that have given us a taste of what the summer could have been. When the weather is that good you just have to get out and about and enjoy our gorgeous surroundings. 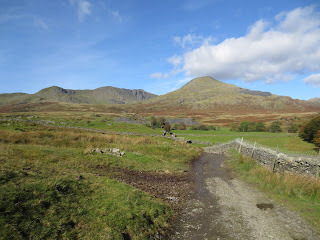 One Sunday morning I found myself being drawn back towards work and the Coniston Fells. I took a walk over Dow Crag and Coniston Old Man, but on the way it gave me chance to have a look at some National Trust farmland at Tranearth, this is a part of our patch that I don't get to very often, but always appreciate when I'm there. Dow Crag and Coniston Old Man, taken from Tranearth. Twice a year all of the National Trust rangers from across the lakes, get together for a day of workshops and a bit of fun as well. 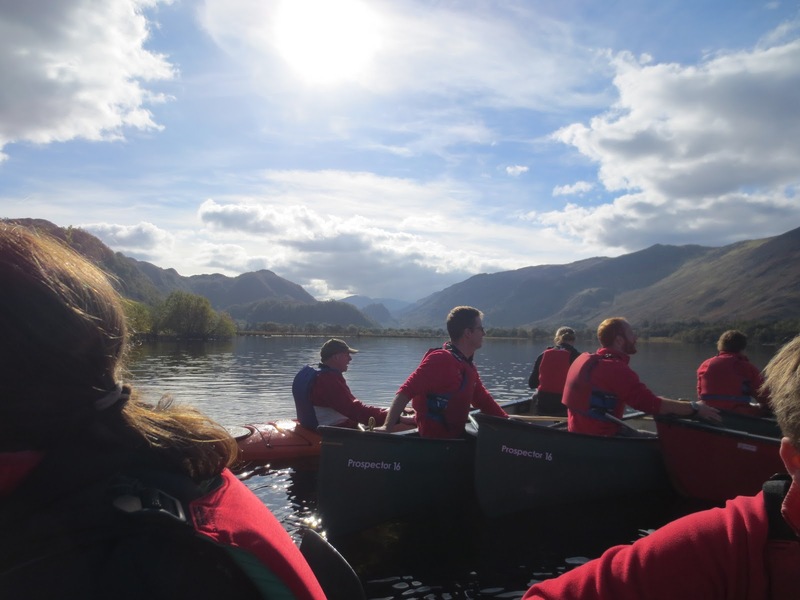 This time the ranger day was held on the side of Derwent water and in the morning we had updates from our various teams across the lakes, this was a great opportunity to learn how everyone had done this summer and share good practise to help us do an even better job in the future. We then split up into groups to discuss subjects such as Archaeology, Conservation and countryside events. With the aim to share ideas and suggest improvements. In the afternoon we all went on a canoe trip around the southern end of Derwent Water to look at a canoe based activity trail, what luck with the weather! A great day for ranger canoeing! As our resident farmer it has fallen on myself to bring to everyone attention that the coming week is British Wool Week, the aim is to get people thinking more about wool as a product. Over the last twenty years wool as a clothing and manufacturing product has been in decline as synthetic materials have been more popular. This has meant farmers have got very little for the fleeces they take of the sheep each year, it costs around £1.50 to get a sheep sheared and the wool was worth less then 50p with the coarser fleeces like Herdwick being virtually unsalable. 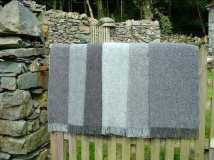 In the past much of the wool produced in the area went into products like blankets and carpets because it was very hard wearing but the fashion of laminate flooring and duvets has virtually killed of this trade. In the past wool was an extremely valuable and important product and brought massive wealth to the country as a whole in fact the speaker in the house of commons sits on a bale of wool to emphasise its significance to the prosperity of the state. Locally villages like Hawkshead were built on the money gained from wool sales and the marketing and manufacture of wool products was very important to the area. it was always said that the money from the wool paid the farm rent. The idea of the Campaign for Wool is to bring wool back into mainstream thinking by emphasising its unique properties and natural credentials. The slogan "Live Naturally + Choose Wool: it’s warm, safe and gentle on the planet" is being used as it ably describes what wool is, a totally natural green product, with a hundred and one uses. It can be used for products as diverse as clothing, wall insulation and path building (as seen in one of our previous blogs). The campaign has been running for a few years now and has helped raise the profile of wool and many artisan producers of wool products can be seen across the area as well as more products in main stream outlets. This plus the rise in the influence of the Chinese market who still use a lot of wool has seen a significant rise in the value of the raw wool with Farmers almost covering the cost of shearing with the sale of the wool. I doubt it will ever reach the values of old but as a green, adaptable natural product i am sure it will see a massive resurgence as we move away from oil derived materials over the coming years. Wool is starting to make its way back into many outdoor clothing products and though we may not see the return of the tweed jacket as the popular choice of the fell walker you never know. It's not all work with spades and wheelbarrows here at the Basecamp. We're always trying to raise awareness of the work we do at the volunteer centre and how it often has benefits beyond simply helping to look after our countryside alone. So we decided to try to make a film of the Basecamp experience. If a picture is worth a thousand words, how many words is a 'moving picture' worth. The group we chose Littledale Hall Therapeutic Community, is a rehabilitation centre from Lancaster. They've been coming to Basecamp for years now and we've got a really good working relationship with them, so we decided on their April visit to roll the cameras. We spent the week working on our main job of the year, continuing the lakeshore path at Wray Bay. Local filmmaker Dayve Ward filmed the group on the work days and the group and National Trust rangers had small video cameras to catch extra footage. With all those cameras we ended up with quite a lot of footage to sort through! The group on their completed section of path. And that’s the thing about making even a short film, there’s an awful lot of work goes into producing a final product. It took a while, but after quite a few editing sessions we finally had a finished version. We’re very pleased with it and took it to Littledale Hall for a ‘premier showing’ where it went down very well. Follow the link below to our NTSouth LakesTV channel and you can see more videos of our work here in the South Lakes.